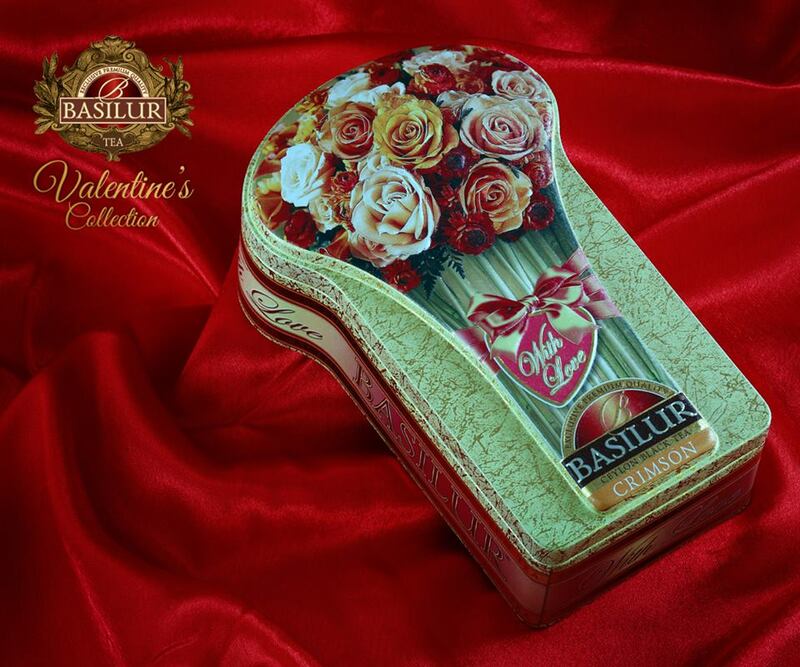 From BASILUR "With Love" - new collection 2014! Create memories which will last a lifetime while you satisfy your senses with a warm cup of this magical tea. Pure Ceylon Tea together with natural herbs & flavours will add an extra spark and create a natural chemistry between you and your loved one. Open your heart to a new beginning of love, romance and unforgettable memories with these amazing blends of "With Love"
Basilur presents to you this intense tea to sweep your loved right off the feet with the luscious taste of ripe strawberries and the sweet aroma of the world's oldest symbol of love, the rose. Unleash your love and desires with every sip of this tea. A deep sensual combination of Pure Ceylon tea with strawberry and rose to convey the depth of love and the intensity of your desires.